Heat gas or charcoal grill. Brush one side of each bread slice with oil. Turn slices over; sprinkle each with garlic powder and cheese. When grill is heated, place bread slices, oil side down, on gas grill over medium heat or on charcoal grill 4 to 6 inches from medium coals. 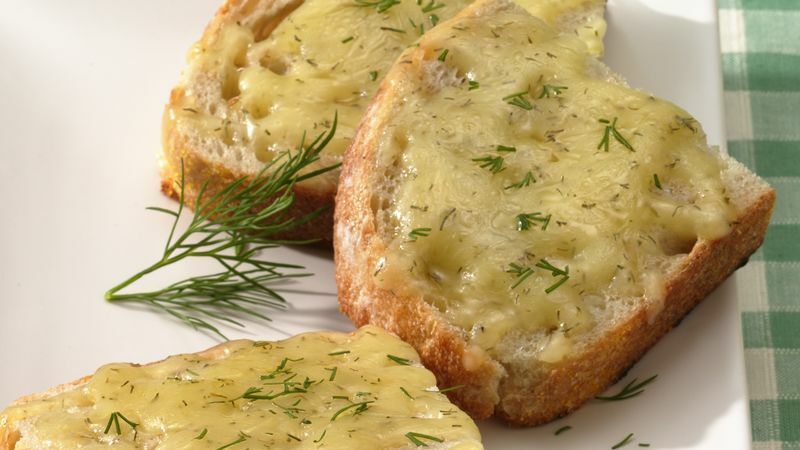 Cook 3 to 5 minutes or until bread is crisp and cheese is melted. Sprinkle with dill.